Myanmar is a super safe and amazing place to visit. Don’t get me wrong – the country has it’s fair share of strife in terms of religious wars but tourists aren’t allowed in those areas anyway. The punishment for petty theft is removal of your hand so people aren’t super interested in stealing from you. In fact, it was super rare that we ran into people who expected a tip for their help (unlike many other countries in SE Asia) – they just love interacting with foreigners! You’ll need to prearrange a visa prior to visiting and at the time we were there, you had to enter via air travel. They didn’t have the border patrol infrastructure to support land border crossings. The maximum visa you can get is 28 days and you will love it so much that you’ll want to spend the entire 28 days exploring! Buy traditional Burmese clothes while you are there and wear them! And learn a few phrases. They will love you for it! Ask before taking photos of people (you should really do that everywhere) and then show them the photo you took. Children especially love to see themselves on camera. 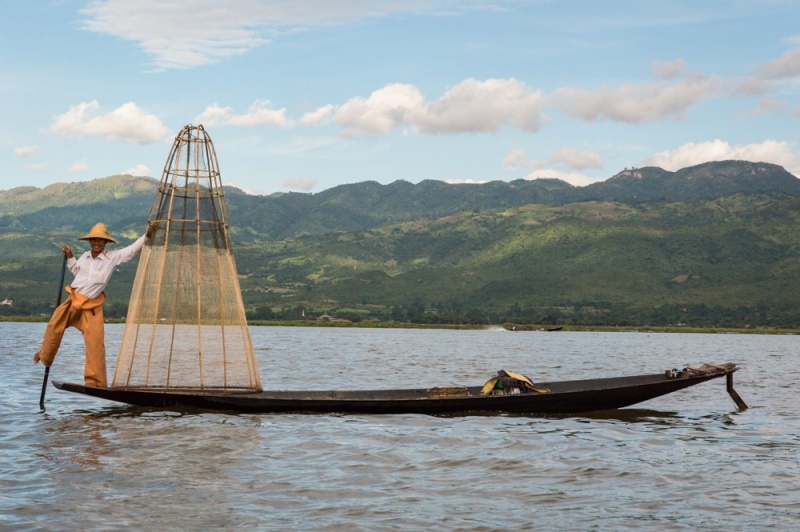 While the name of the country is now officially “Myanmar”, the people and language are still considered to be Burmese. If you call it “Burma” on accident, no harm no foul. Remember that the tourism infrastructure is just in the process of being built so have patience! Many times we had issues finding a guest house or hotel (especially in Sittwe) because there just aren’t that many of them. If you must stay in a government hotel, expect to pay way more (around $100 USD), whereas guest houses run closer to $30 USD. Unfortunately the food is not great – oily and heavy and not super tasty. Be sure to pack some tums! Myanmar is the only country we had visited to date that does not offer a visa on arrival and requires proof of travel requirements to exit the country (or so we thought). Also, at the time it was virtually impossible for foreigners to cross the border by land so we were forced to book plane tickets (though they were definitely not in our budget). 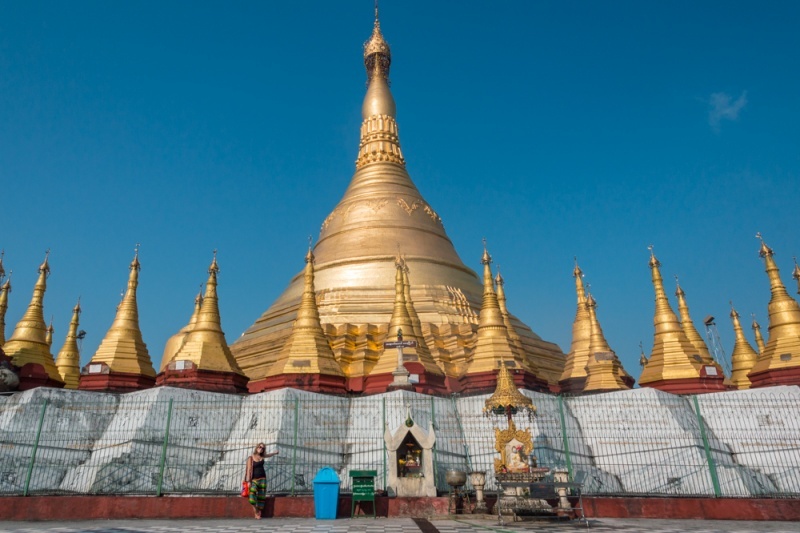 After much indecision we chose to start in Yangon and spend our 28 days allotted on our visa travelling around and eventually flying out of Mandalay. 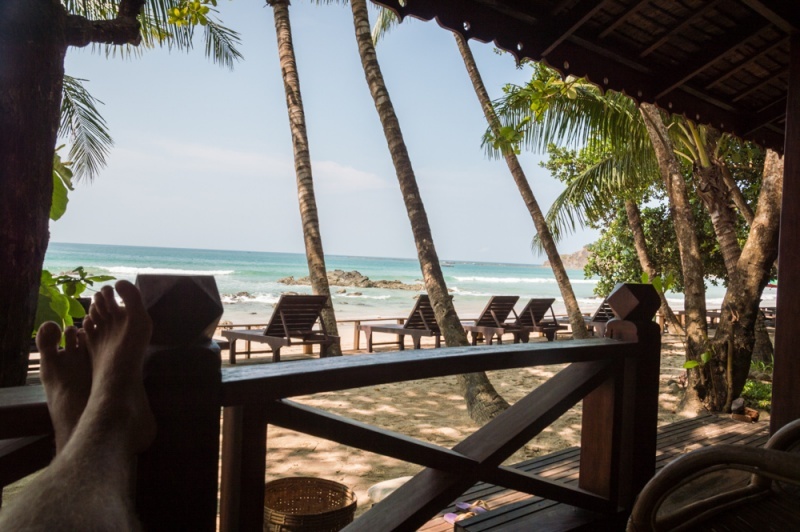 We arrived in the early afternoon and found a quaint guesthouse where the staff was friendly and helpful (only downside… our room was on the 8th floor which is great for views but painful for thighs). We ended our first evening with a sunset run for Val (walk/photo taking sesh for Nick) around a lake near the city center. The next day while touring one of many pagodas in the city we were approached by 3 young Burmese girls who spoke very good English. They were excited to meet us and asked if we would come with them to speak with their class of students taking their own time and spending their own money in an effort to learn English. We obliged and once we arrived we were ushered to the front, given microphones, and began getting barraged with questions from students; where were we from, what was our favorite food, why weren’t we married, how many babies did we want, what medicine did we take to be so beautiful, were we movie stars… It was great fun and when it was finished the teacher asked us to come the next day for his 7am class. Um, no. I had many excuses… I couldn’t wake up, to which he replied that he would send his assistant to wake us. I needed breakfast first, to which he replied that he would feed us. Essentially… we were trapped. The teacher’s assistant was trying to make a career in tourism and offered to take us to a few pagodas in the country for the afternoon. We didn’t have anything else planned for the day and so we agreed. We took a long local bus ride out to see some rather un-inspiring temples and pagodas but as Nick always says, “it’s about the journey, not the destination”. We had a great time meeting locals, seeing the beautiful countryside and taking the local transportation along the way. 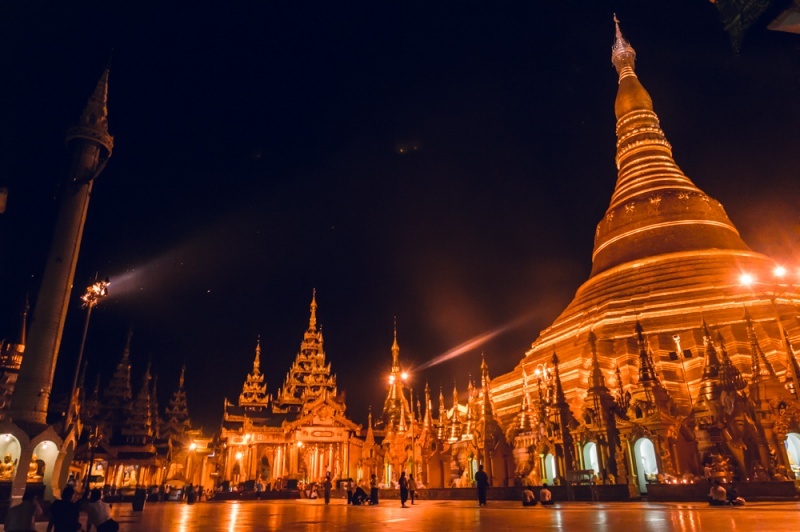 A visit to the Shwedagon Pagoda is one of the most popular things to do in Yangon. We opted to go at night so we wouldn’t be out in the blistering hot sun the whole time. The site was remarkable and we had no shortage of photographs to take and Buddha’s to admire. One day we took a circular train around the city which was fun and beautiful but so bumpy I had to make a plan for escape and survival in case of derailing. We took a few trips to the local market and loaded up with beautiful jade jewelry, longyis (which are the sarong-like garments that Burmese men and women wear) and an elephant puppet (couldn’t help myself). We also took a few trips to China Town which had amazing street food and shots of gin for 20 cents a pop (don’t ask me how my night ended after about $5 in gin shots, I wouldn’t know…) We really fell in love with Yangon and agreed if we were to decide to live abroad for a time it would be an ideal spot. 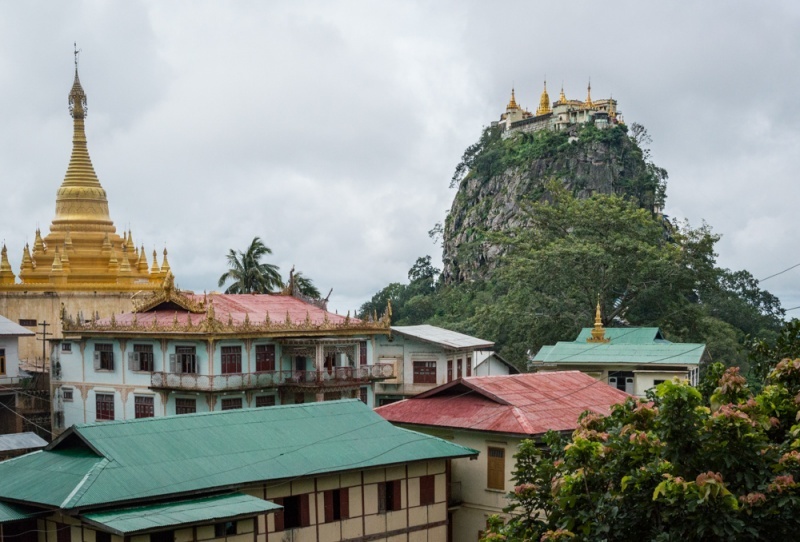 From Yangon we took a long, bumpy train ride to Bago and then a mototaxi to Kinpun to visit the most sacred site in all of Myanmar; the Golden Rock. We had both been battling with a stomach something-or-other and by the time we arrived Nick was feeling much better but unfortunately I was not. 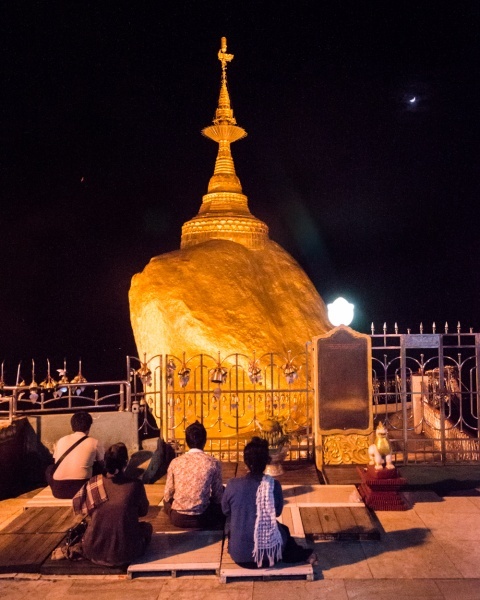 There are two ways to reach the Golden Rock according to our guidebook… a 40 minute long (crowded) truck ride to the top or a 7-mile “religious pilgrimage” that many a monk take but very few others opt for the adventure. I was feeling terrible but we could see the Golden Rock on the side of the mountain and it didn’t LOOK like it was 7 miles away, it looked more like a mile and a half trek. 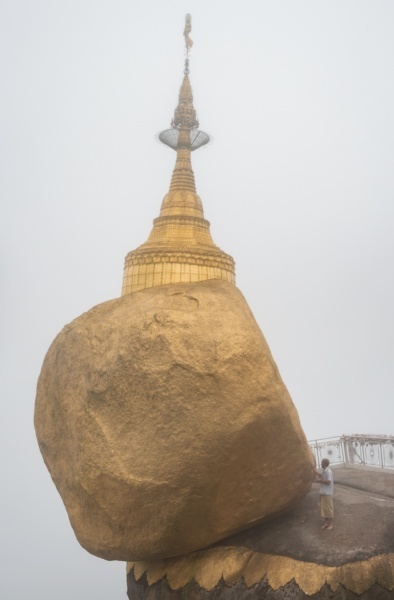 Turns out what we were seeing was a miniature version of the Golden Rock; another pagoda that vaguely resembled the real one but wasn’t nearly as large or popular (or sacred for that matter). Against my better judgment I chose to carry on. In hindsight the hike was amazing and I am so glad we did it. We encountered many local families along the way selling tea and snacks or just busy with daily chores. They must not see foreigners very often because all of them were very excited to see us. The hike itself was very challenging and took us all day and had us making plans in case we didn’t make it to the rock by sunset. Luckily we did and were able to find a hotel without trouble, grab a bite and then take a night visit to the Golden Rock. It is believed that the rock is balanced on the edge of another rock by a hair of Buddha. Apparently the rock is so unstable you can rock it back and forth; I wouldn’t know, women are not allowed near. Nick on the other hand was able to place gold flecks on the sacred rock. Why women aren’t allowed, I couldn’t say. It was beautiful to behold at night as it was lit up and many locals were there worshiping or camped out for the night. We made another visit to the rock the next day and then took the crowded truck back down to the town; I was feeling much better by then but definitely not in the mood for another “religious pilgrimage”. 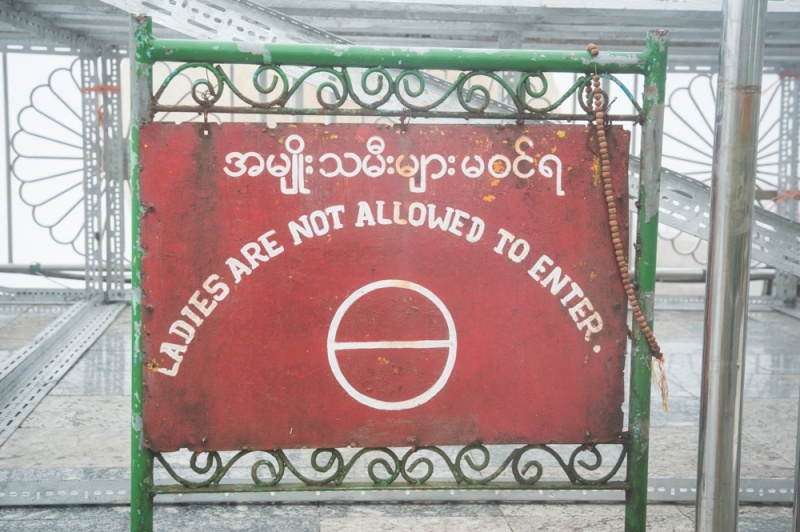 When we first arrived in Sittwe I was far from impressed. It seemed to be a dumpy town and at first the people seemed to be far less friendly than we had grown accustomed to in Myanmar. 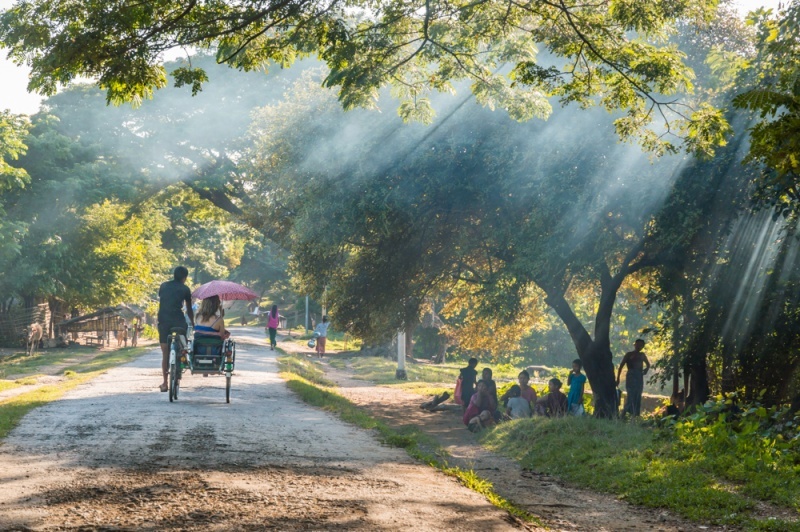 After a funny trishaw ride around town in our longyis, I realized that the town had some definite potential. Not only were the people friendly and welcoming but also so willing to help (this is true in all of Myanmar but I’ve noticed it more in Sittwe) and they don’t ask for anything in return. They are just genuinely happy and helpful as a culture and having been tainted by requesting a “tip” for their services as many people in other countries have become accustomed to. While having dinner we were informed about a traditional dance recital that would be taking place that evening just across the street… I’m always a sucker for that kind of stuff so I was stoked. 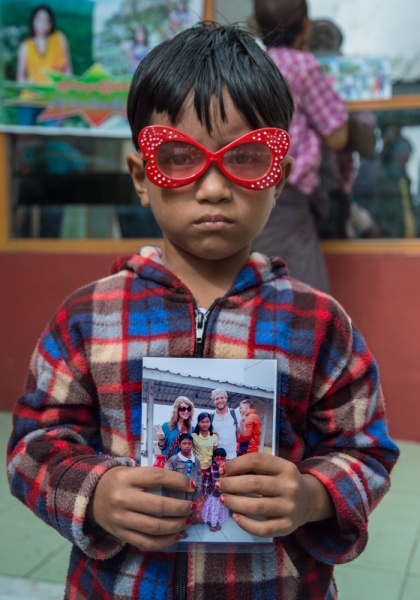 We walked into an auditorium filled with probably 200 Burmese people that seemed to all turn and stare at our arrival. Not in a bad way, they were just curious and giggling at the foreigners dressed in longyis. When we sat down a cute young girl sitting in front of us came over to offer me a lollipop, then another to offer a soda, and then another to offer another soda. Then we were approached by others who informed us the performers for the evening wanted their picture with us. They were dressed in traditional costumes and getting professional photographs taken at the front of the auditorium and they ushered us to the front and stuck us right in the middle of the 30 some-odd girls. There were half a dozen cameras flashing and many others that wanted us to pose with them as well. When we headed back to our seats I beckoned the girls who had offered the gifts to take a photo with me and was immediately surrounded by a swarm of girls, all taking turns to stand by me and link arms for a photo. The dancing was beautiful, and the experience hilarious, and we were hoping to see ourselves on the front page of the Sittwe newspaper the next day. 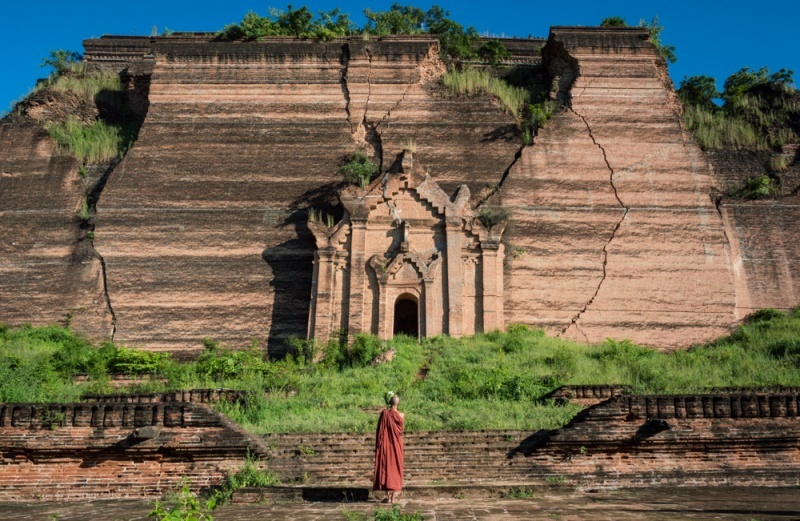 Mrauk U is a small town that is seemingly in the middle of nowhere and fairly difficult to get to. Nick was drawn to visit this town because very few tourists visit every year (2,000 – 3,000). 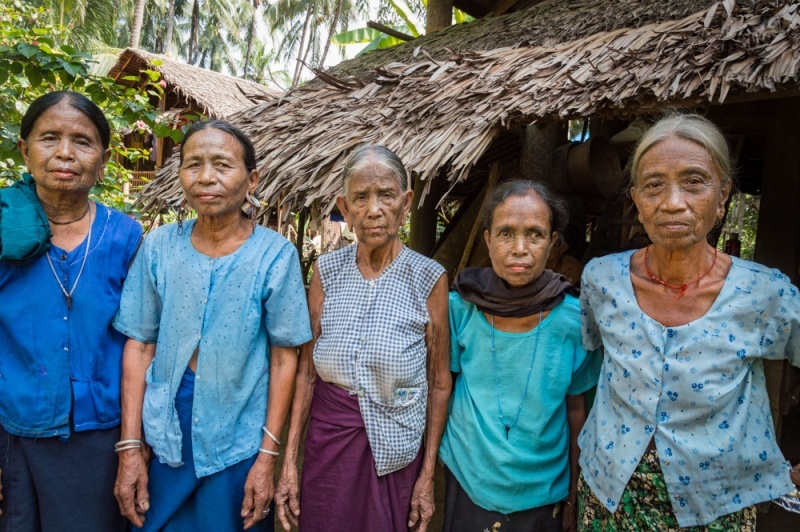 I was drawn to visit after I read about the Chin Village where the villagers used to tattoo the faces of the village women to make them unappealing to neighboring tribal men (as rumor has it). We arrived by boat from Sittwe and were taken to a guest house that was recommended to us but found it to be less than appealing for the price. 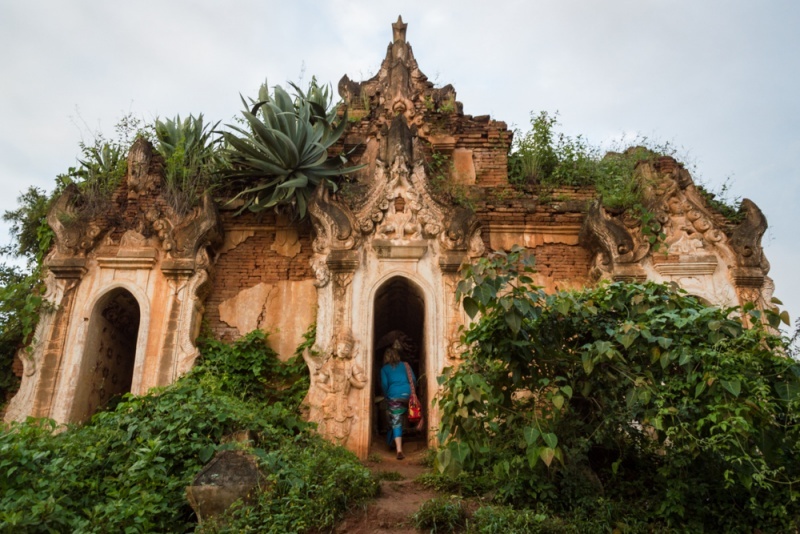 We found that, in general, guest houses and hotels in Myanmar were quite expensive and not always in the best shape. We decided to stay for one night and to go on a hunt for a better place that evening. Our first full day in Mrauk U we spent checking out the market and then touring a few of the hundreds of Pagoda’s that surround the town. The locals don’t see many tourists and they loved that we wore longyis. The Pagodas were lovely but the weather was unbelievably hot and humid and our umbrellas did little to stiffen the heat. We found a lovely little gallery and had a rest and a cup of coffee and a nice chat with the gallery owner (unfortunately his art was very expensive and far from amazing so we had to pass). 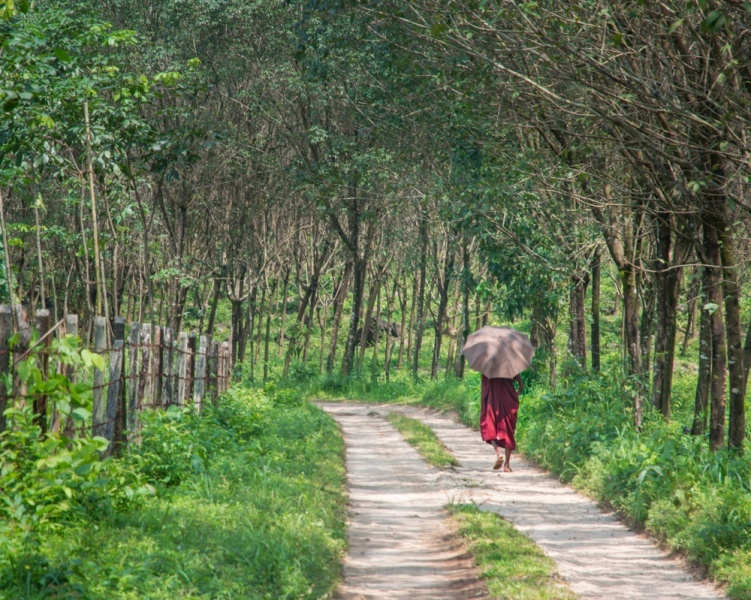 When we began our journey to Mrauk U we knew we wanted to visit the Chin Village but got differing information about how to best get there and the price. Turned out that we got many offers from tour guides at very different prices ranging from $45 to $73. We went with the $45 tour and left bright and early the next day. Our first stop was a small village where the guide had a friend who worked in a school. The school was a small building with just one room that housed 4 different classes (there were no dividing walls and many of the floor boards were broken or missing completely). We were quite an interruption and I ended up snapping some pictures of the kids and then showing them and they were screaming and laughing, having so much fun. 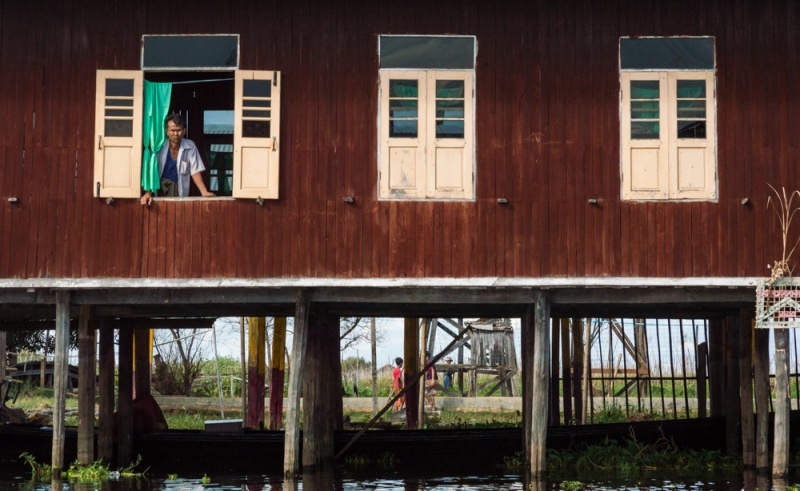 Our next stop was the first of the villages that still have tattooed women. This was our favorite of the villages because the women were just going about their day; chatting at a local house/store, making food for the pigs, weaving scarves, etc. We got to sit with two of them and ask questions (translated to Burmese of course) about whether or not the tattoos hurt and why the villagers stopped doing them. One of the women was tattooed when she was 9 years old and it took about 3 days. She said it hurt on her forehead but nowhere else. Some say the Chin Villagers started doing it because men from neighboring tribes would invade their village and take their women, others say they did it because they thought it was a sign of beauty and womanhood. 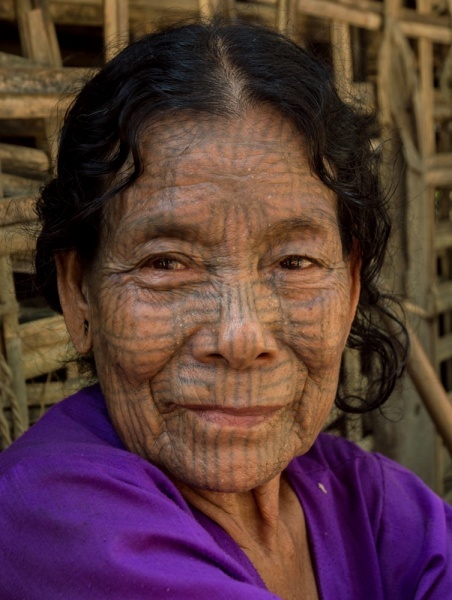 They stopped doing the tattoos long ago and no longer find it beautiful so only a handful of tattooed women remain in the village and soon there will be none remaining. We brought medicine and soap to donate to all of the tattooed women in each village. We found the other villages to be a bit more contrived; the tattooed women seemed to be waiting for our arrival at the second village and approached us with goods they had made for sale and requests for donations for their school. The third village gathered us in a circle with the town leader and others to complain about their school being unfinished because they “have no money!” As a side note, the school at the third village was significantly better than any others we saw that day. Upon leaving we noted that it would be prudent for the last village to produce some goods to sell or provide food for tourists or something… anything… rather than simply putting us on the spot and expecting us to empty our pockets because we have the means. I’m happy to donate goods, time, or even money but I believe it has to be out of the goodness of your heart and you must know where your money is going. I had neither in the last village and was in a hurry to make my leave. 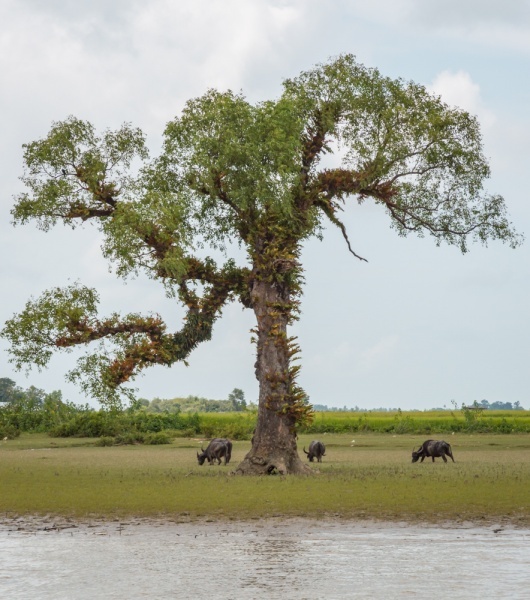 When we arrived back to Mrauk U our guide took us to a local watering hole to try their local favorite alcohol that cannot be purchased in stores – Toddy – which is made from fermented palm leaves. We purchased 4 liters at 20 cents each as well as some snacks; shrimps (that happened to be covered in ants), pork fat ceviche, and slugs. Yum. All in all it was a great day and since we had low expectations from the beginning, we were very impressed by the tour. 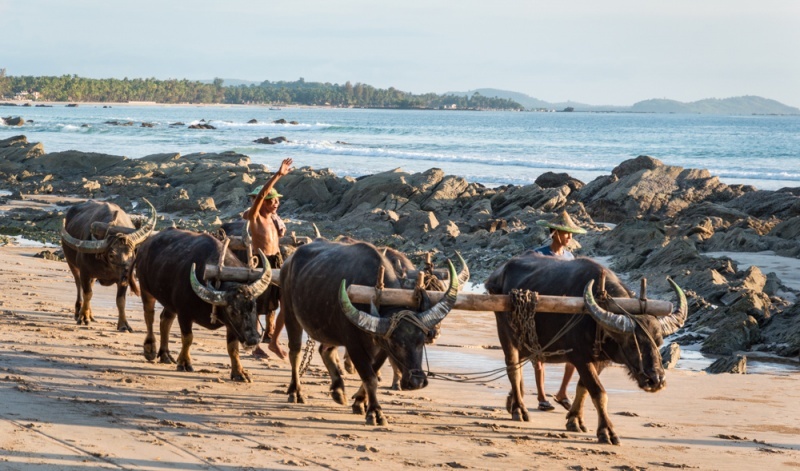 We knew before arriving that Ngapali Beach would be fairly challenging to get to and probably the most touristy town we’ve visited so far but chose to make the journey regardless. Upon arrival we found a pleasant town, delicious (CHEAP!) seafood, and a very nice and reasonably priced hotel right on the beach. Having lived in Hawaii for a little while, the thought of lounging on the beach all day had lost its appeal a bit and we were more interested in some kind of activity. We settled on a spear fishing trip for our first full day. Our boat left in the morning and initially took us to a location to fish and gave us fishing poles that were no more than wire and string attached to water bottles. We had no luck and grumbled the whole time out of boredom and finally convinced our guide to ditch the bait fishing and give us spears! He took us to a shallower location, gave us snorkel gear and spears made from bamboo and let us loose. Nick described it best by saying that when he’s just snorkeling he can last about 30 minutes before he gets bored, but give him the opportunity to kill things and he’s happy for 2 hours. I agree completely. I’ve never been a big fan of snorkeling and find it incredibly unnatural to breathe underwater, but when I have a spear I am happy as a clam! We had such a good time we booked the same tour for the next day as well. Nick speared fish both days. I only got one and it was tiny and likely inedible but I was beyond ecstatic. While in Ngapali Beach we also visited a popular pagoda at night during their full moon festival which also happened to be their 1,000 Lights and 1,000 Flowers festival. There were candles lit all over the pagoda and in front of most of the houses in the town and fireworks going off everywhere. We spotted a massage spot which had been rare in Myanmar and decided to go for the “traditional Myanmar massage” for $8 which ended up being a strange and fairly invasive experience. Next time we’ll go for the Thai or Japanese massage (they don’t seem to take “full body” quite as literally as the Burmese). 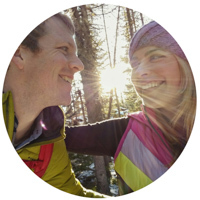 We also enjoyed long walks on the beach and sunset dinners in the sand… soooo romantic. There were definitely more tourists there than we’d seen in all of Myanmar but the trip was fun and relaxing and a nice change of pace. Unfortunately the ending was not quite as sweet. Apparently we weren’t as clear with our hotel receptionist as we should have been regarding the exact location of our next destination and unknowingly boarded a 17-hour bus that was travelling the opposite way we had planned. And this was no pleasant bus ride (not that any of them are pleasant…). We were in the very back row where our seats wouldn’t recline and seemed to be in the worst location for a very bumpy road. The “bathroom” break along the way consisted of men peeing in bushes and women squatting nearby behind a make-shift 3-foot tall wall… awkward. We ended up back in Yangon and unfortunately wasted a day in travel on our already dwindling amount of time we had left in this amazing country. 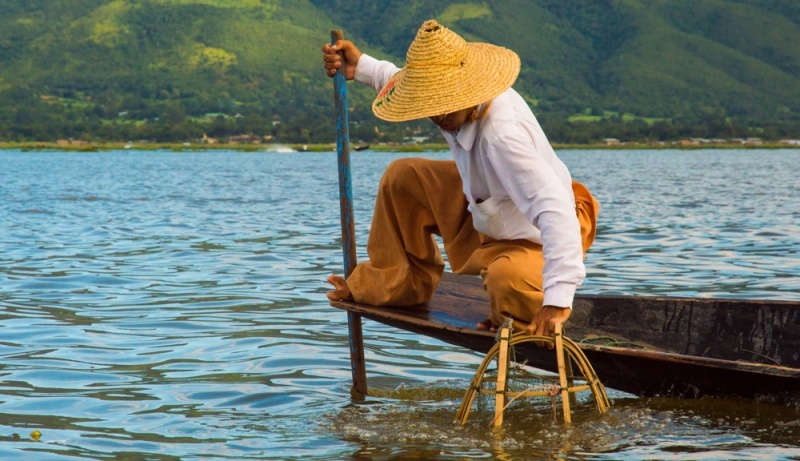 Nick and I were both on the fence about whether or not to travel to Inle Lake as we had heard it is the more touristy areas in Myanmar. However, after our accidental 17-hour bus ride in Yangon, the bus direct to Inle Lake was the most convenient so we decided to chance it. We arrived early in the morning and got settled into a very nice hotel room and decided to explore the town. We rented bikes and rode out to the only winery we’d seen in Myanmar. The wine was average but they had blue cheese which made me squeal in delight. We also found a boat driver and booked our lake tour for early the next morning hoping to avoid the tourist crowd. Our boat guide met us at 4:30am the next morning and we set out for the lake. 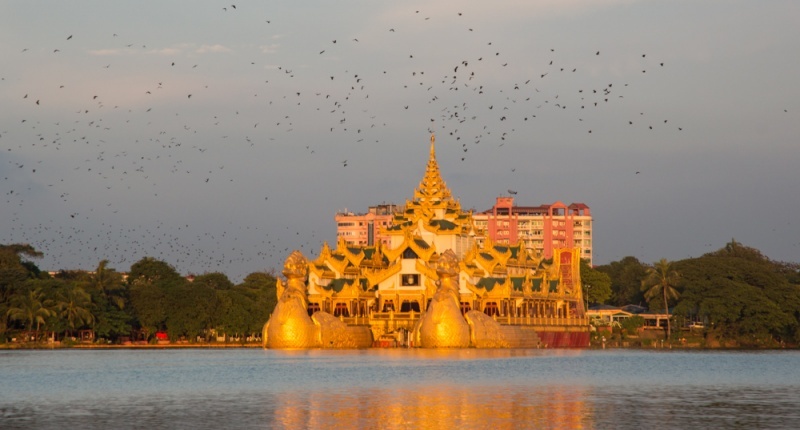 We started our tour with Shwe Indein Pagoda as we had heard it was fairly busy later in the day and we hoped to not only beat the crowd but possibly catch a nice sunrise view as well. We were a bit late for sunrise but got a nice view from the boat on the way there. The pagodas were not well maintained and had plants growing inside them and all around, but they were lovely nonetheless. We spent a fair amount of time exploring the ruins and taking photos and grabbed a quick bite (we definitely got the tourist price at $5 for a bill that should cost around $1.20). The next stop was the market that takes place in a different place every day of the week. We found this to be very overpriced and aggressive with the vendors following us around saying “how much you pay?” It was annoying but we found a few things we couldn’t live without and purchased anyway. On the way back we stopped at a silver smith workshop, a few more pagodas, and got to see a floating garden in the middle of the lake filled with hundreds of tomato plants. We also got to see several local men who stand on the back of their boats and paddle using the strength of their leg instead of their arms. It doesn’t seem to get them anywhere fast so we could never really figure out the benefit. Near the entrance of the lake there are also a few guys who put on a show by paddling with their feet and “fishing” with a large net… for a dollar we got some sweet pictures. During the remainder of our stay around the lake we biked to a winery that had very average wine but a bazillion flies, got lovely $4 massages from a local family who made us beautiful flower leis, and explored many more pagodas around the town. We agreed that by the time we left Myanmar we would surely be pagoda-ed out. The lake was good fun and we were glad we made the decision to visit. 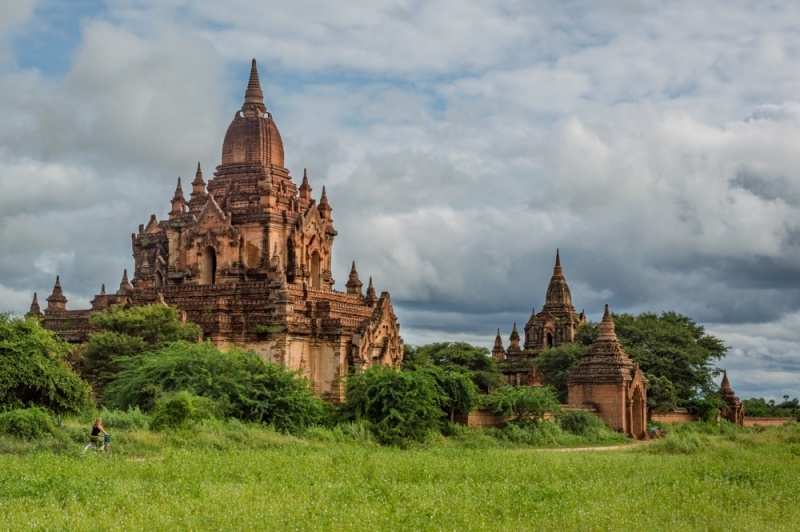 When people talk about Myanmar, they generally begin by telling you how lovely Bagan is and how you MUST go there. I’m not going to say that but I will say that we were definitely convinced that Bagan would be a lovely place to visit after talking to other travelers along the way. We arrived early in the morning after a night bus brought us from Yangon and oddly enough we were able to get some shuteye on the bus and arrived bright-eyed, bushy-tailed, and ready to explore the town. We rented bicycles right away and set out to check out our first of many pagodas (there are over 2,000). We were approached by two ladies who were very friendly and told us where to park our bikes and they asked that we might visit their souvenir stand when we were finished with the pagoda to which we agreed. Upon entering the pagoda it looked much like the million that we had seen so far in Myanmar and as we returned to our bikes we were hounded by the two “nice” ladies from before. There were guilt trips and pleading a-plenty but we managed to escape their claws and ride off without purchasing anything. We would soon learn that Bagan has the most aggressive and annoying vendors in all of Myanmar and they are EVERYWHERE. As soon as we hopped back on our bikes it started to rain. And didn’t stop. For two days. Our second day in Bagan we ventured out from our hotel, to the restaurant next door, to another restaurant next door to the first, and back to our hotel. We were about ready to leave but the following day there was a slight break in the weather and we were able to rent bikes again and resume our endless pagoda tour. We found Bagan to be beautiful and amazing and rich in history but unfortunately we had seen so many pagodas throughout Myanmar that we were probably not as impressed with the town as we should have been (or as impressed as other travelers seem to be). However, on our last full day in Bagan we made a last-minute decision to take an hour taxi out to Mount Popa and that turned out to be our favorite Bagan experience of all. 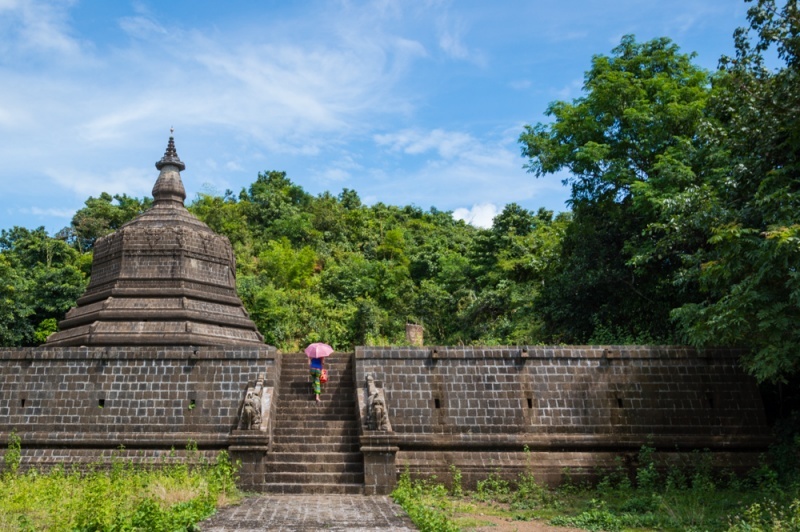 Mount Popa is a pagoda perched high on a hill and approached by hundreds of stairs. In true Myanmar tradition you are required to leave your shoes at the bottom of the stairs and approach the pagoda with bare feet. 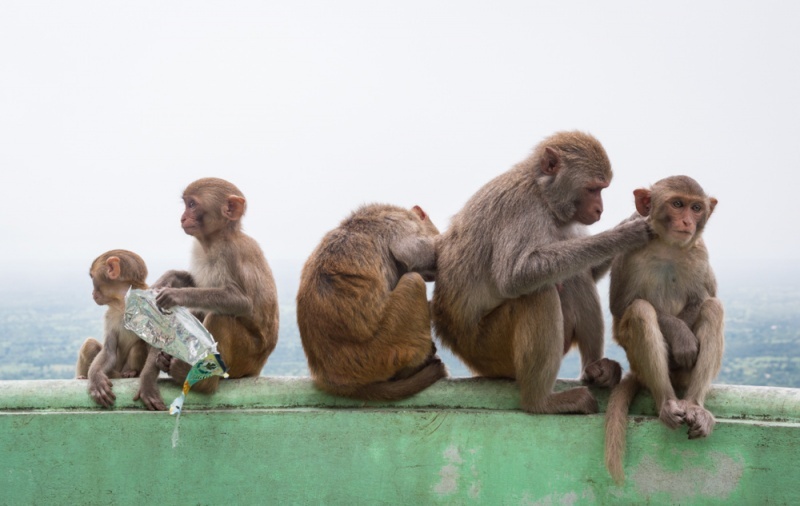 In most cases this is not a problem but these stairs were infested by monkeys and with them, loads of monkey poo. The locals were working hard to clear the stairs with water and mops but really only succeeded in turning the poo to a watery, slippery, disgusting mess. The monkeys going up the stairs were also mean and we were completely entertained watching the Burmese men shooting them with sling shots and monkeys jumping on people’s heads. When we arrived at the top we had a few minutes to look around before we were approached by the first Burmese local to ask to take a picture with us. Apparently there was a guy running a small business at the top where he would take your picture in front of the temple and print it out for a small charge. Well he was overloaded with business that day because after the first picture we were swarmed by Burmese people asking us to take pictures with them; one-on-one, with their whole families, one lady even asked me to hold her baby for a picture. 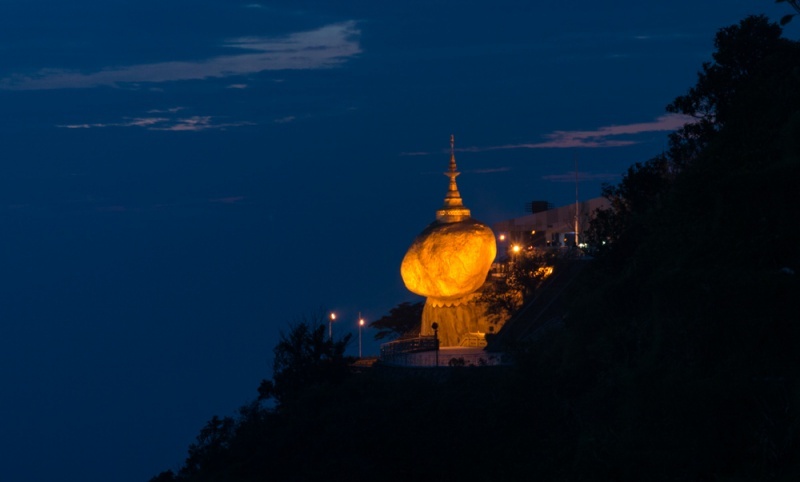 So is it worth visiting Mount Popa? Absolutely! It was not only a hilarious experience but also rather endearing that these local people would spend their money to purchase pictures with tourists as a souvenir from their trip to Mount Popa. Our monkey poo experience at the pagoda was the perfect way to end our time in rainy Bagan. We actually ended up liking Mandalay far more than we expected! Probably partially since we ended up doing such random things there. One morning we were up at 3:30am to attend a ceremony that is held at 4:00am everyday at Mahamuni Buddha Temple. 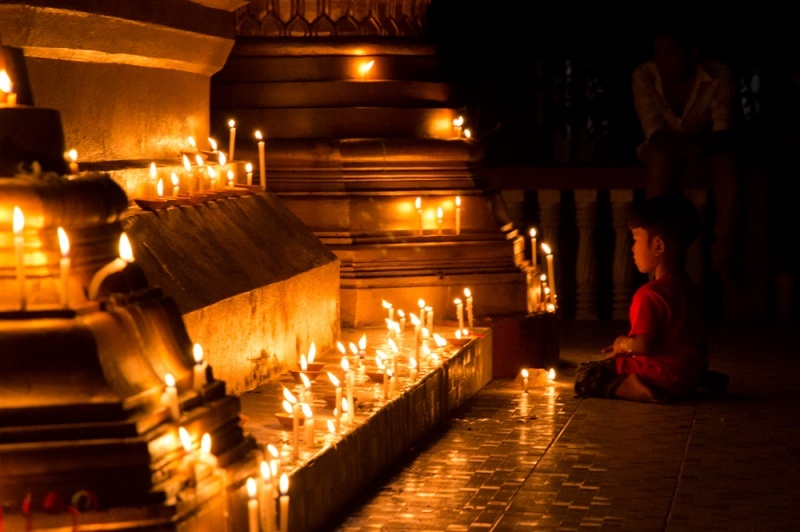 Many Buddhists gather around on the ground with their feet respectfully tucked behind them (never point your feet toward Buddha, or anyone really) while Monks slowly and carefully wash the face of the Buddha statue and brush its teeth. The dirty bathwater is then passed around so the ceremony goers can sprinkle some over their heads or in their mouths. It’s quite interesting to see but not really a popular tourist destination. 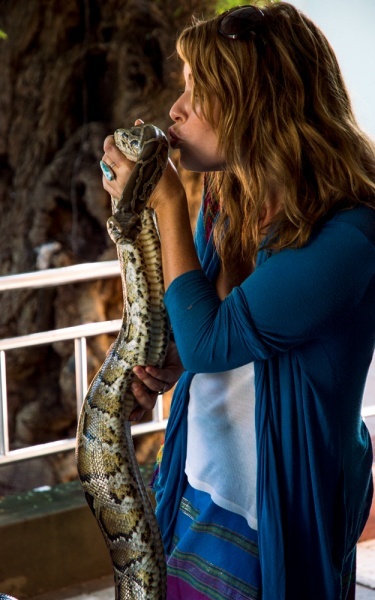 We also took a trip out to Hmwe Paya (aka Snake Pagoda) for some good old fashioned horrifying snake kisses. To date, Myanmar is absolutely, without a doubt my favorite country I’ve ever visited. We encountered the most lovely, welcoming, friendly, amazing people who genuinely had an interest in interacting with foreigners (aka they don’t yet see $$$ when they meet tourists). Every time I look through my old photos of Myanmar I cry a little inside because I’m not back there in that moment and I miss it like crazy. Book your trip, get off the beaten path a bit, and prepare to be amazed! Want more info? 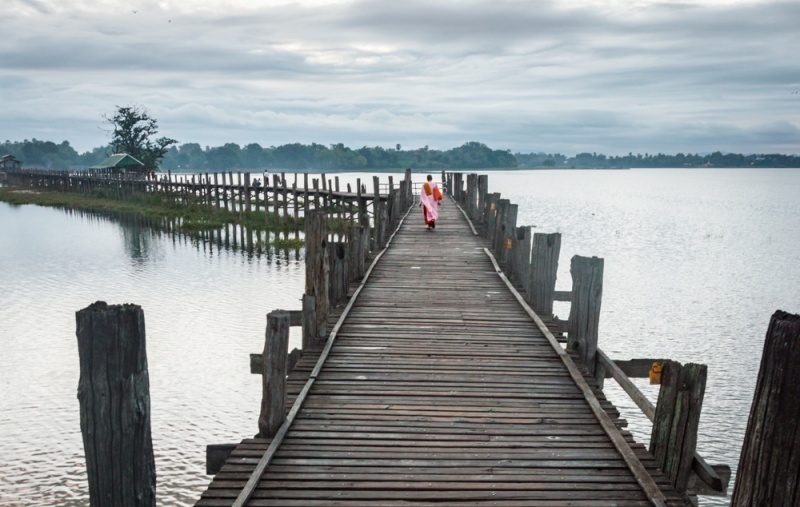 Check out our favorite travel guides and books about Myanmar!